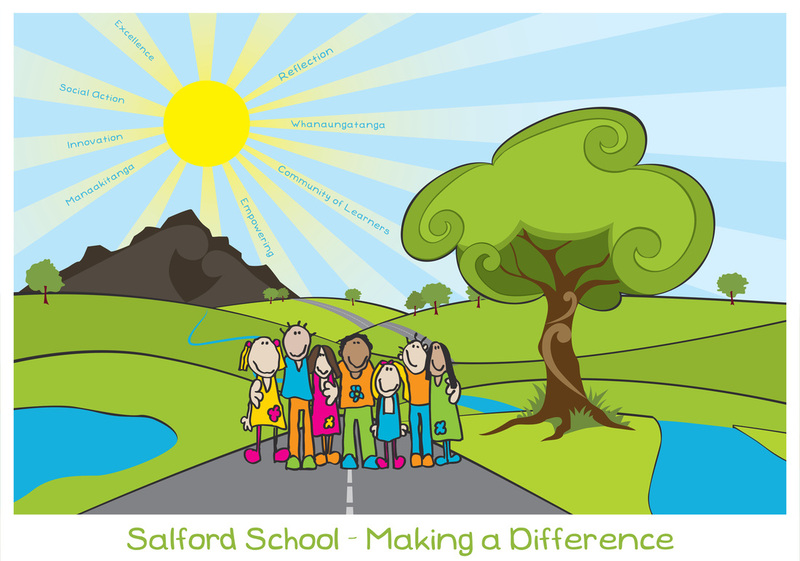 Salford School is a Year 1 to 6 contributing school. The school has a student roll of around 270 students, in 11 classrooms plus an attached satellite class from Ruru School. The school is located in the North Invercargill suburb of Rosedale and has a very pleasant rural outlook, spacious grounds and excellent playground facilities. Salford School has an enthusiastic and very capable team of teachers who are committed to doing the best for children. The Staff, Board of Trustees and Parent Teacher Association work positively together so that children experience a rewarding and enjoyable education and leave the school confident and well equipped to succeed at the next level.